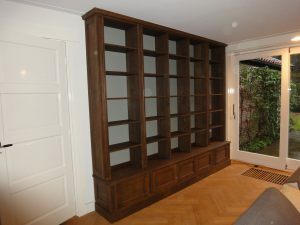 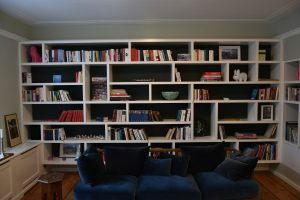 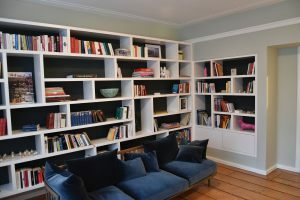 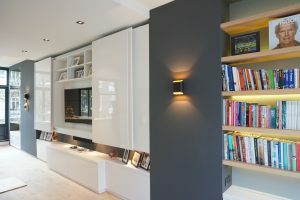 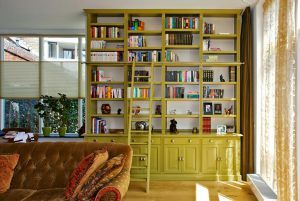 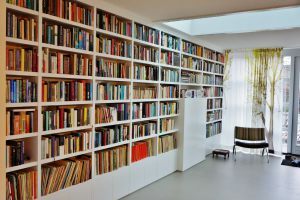 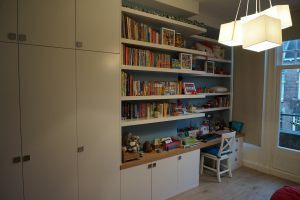 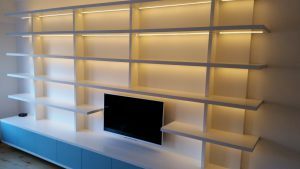 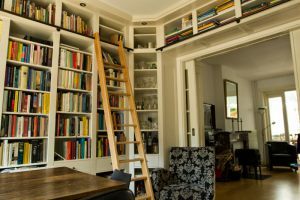 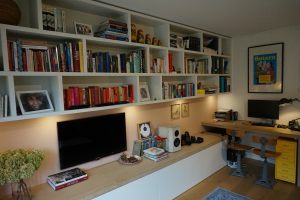 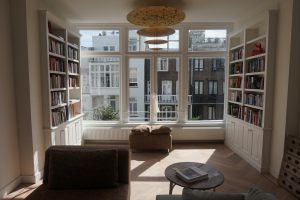 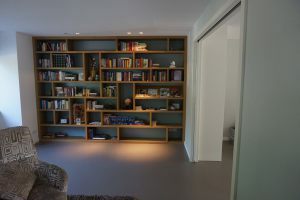 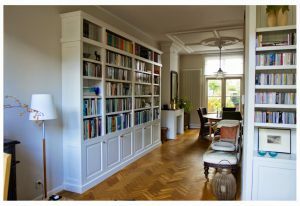 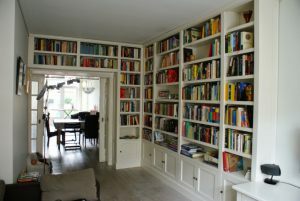 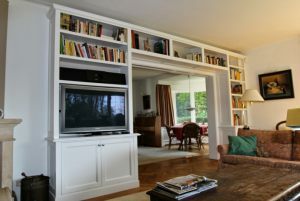 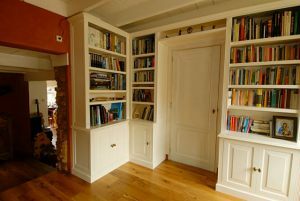 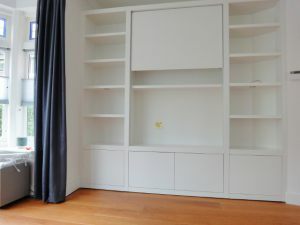 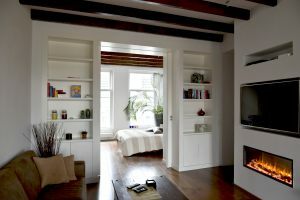 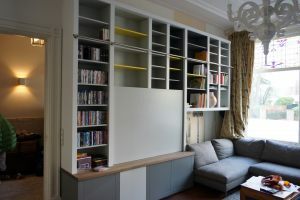 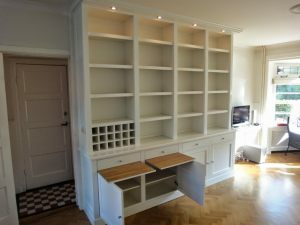 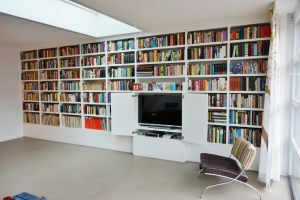 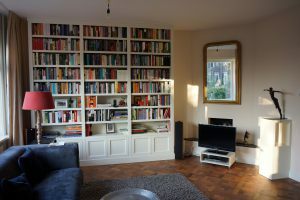 Bookcases and bookshelves are designed and custom made by MyHouse Amsterdam and are the finishing touch of your interior. 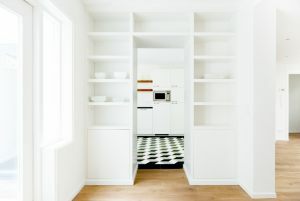 The cabinets are designed in style: modern, 30”s style or totally classic. 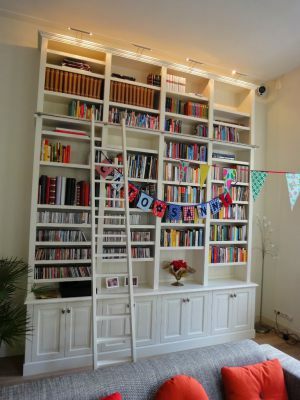 The quality of the bookcases is outstanding. 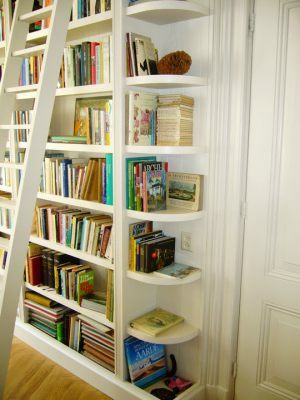 MyHouse often works in solid hardwood as this is the strongest material for a bookcase. 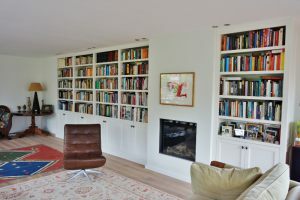 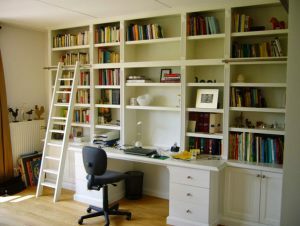 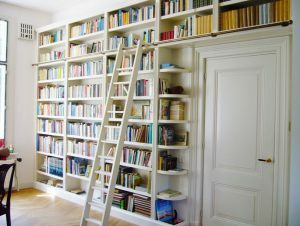 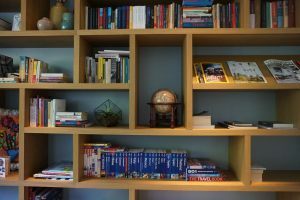 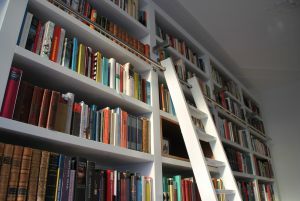 The design process of your bookshelves is very personal, fun and a creative experience! 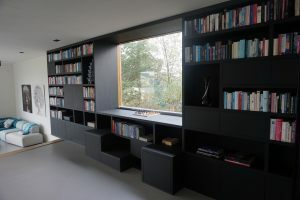 Our approach is very transparent. 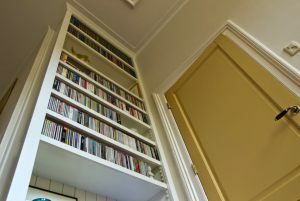 First we listen carefully to your wishes. 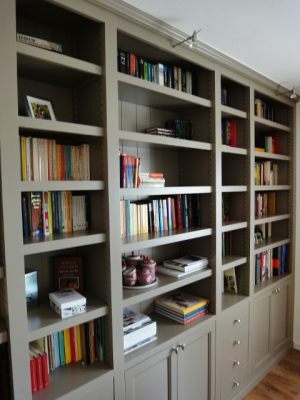 Based on your wishes and our input we will make the first designs of your bookcase. 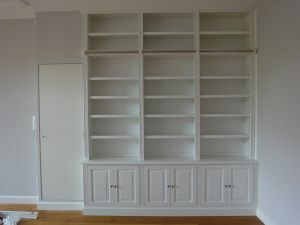 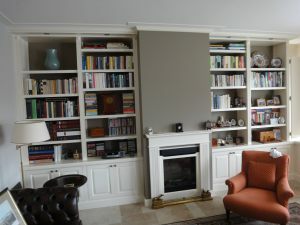 For the classic bookcase we will adapt the style of the fitted cabinet to the architectural details in your house. 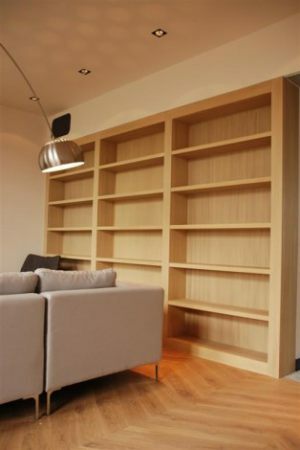 A bookcase in style needs to fit perfectly in your interior. 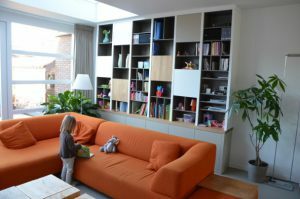 MyHouse takes care of the whole process. 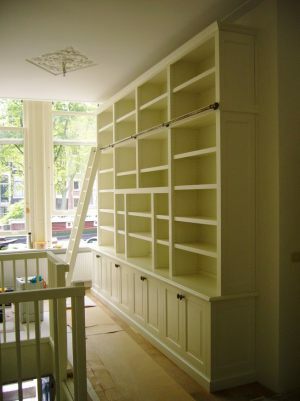 The process consists of design, measuring, making and fitting the furniture piece. 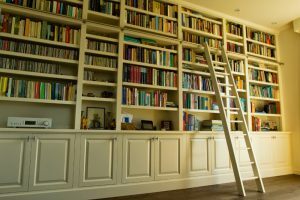 There are a lot of choices for the material and details like knobs, ladders, profiles of the woodwork and paneling, the color and the finish. 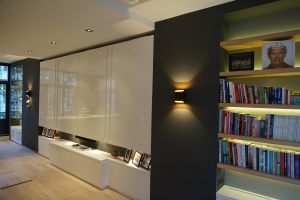 Examples are available in the showroom and on the website gallery. 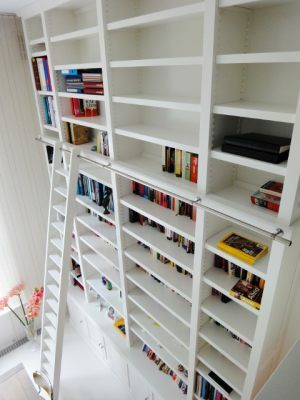 Measures are no problem. 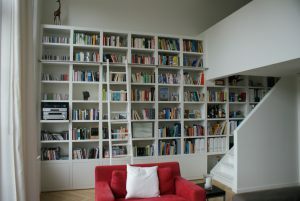 Very high and extensive libraries or special corner solutions are a specialty. 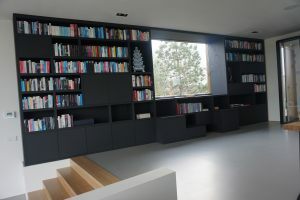 MyHouse works for private and business clients. 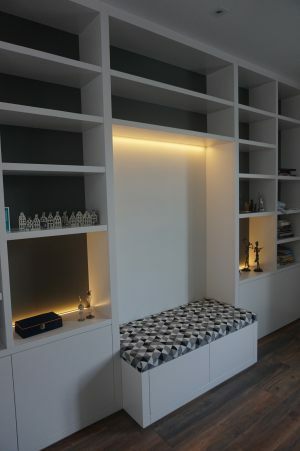 Please let us know your wishes and measurements or make an appointment in our showroom. 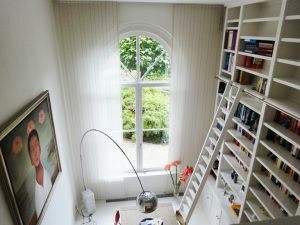 We can also visit you on location for a free and personal advice.